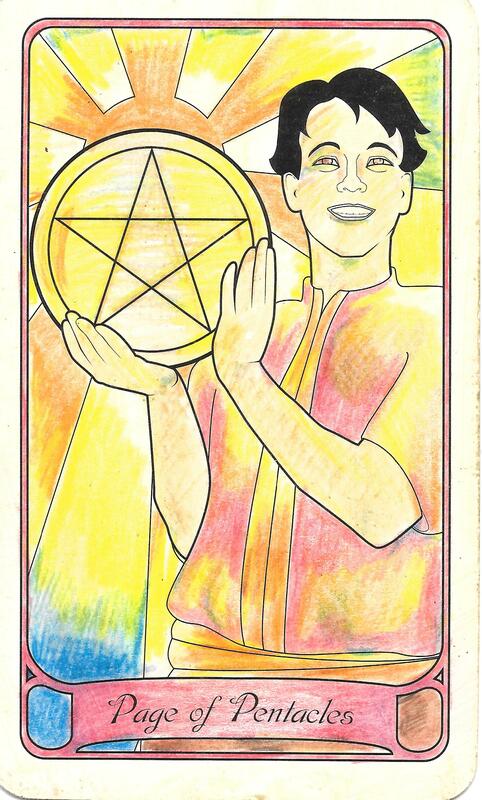 The card of the day is the Star, a car of hope burning bright. The Moon makes a sextile with Mars and it’s the Summer Solstice so it’s a wonderful day to collect the charge that you need to increase your health, energy and vitality. Get outside and soak up the sun if it’s nice where you live. The Sun is the biggest star in our solar system and it asks you to shine brightly with it. If you’re experiencing the Winter Solstice in the Southern Hemisphere, the Star asks that you see the light in the darkest day of the year. Embrace the hope it brings and foster that in your heart. The Moon enters Virgo at 12:59 PM, amplifying your mental dexterity. EST Moon makes a square with Saturn at 12:09 PM EST, so resist the urge to give into negative thinking because it will be easy to fall into a depression. Emotions will be high strung today as the Sun enters Caner so use that boost to really embrace gratitude for everything you’ve been given this year. The Moon makes a sextile with the Sun at 1:01 PM, and those feelings of the Moon’s square with Saturn will melt away and inner conflicts will fade. The number of the day is 8, a number of movement and change. Draw good energy to yourself so you won’t have any karma to pay back later. Mantra: I shine like the stars. 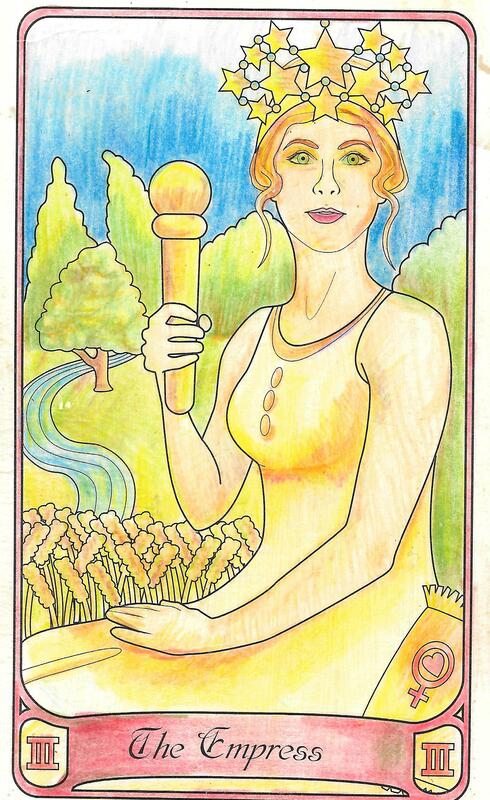 The Page of Wands is a free spirit who is ready to explore and have new adventures. You will feel the energy of the page as the Moon squares Mercury at 6:27 AM EST. You may wake up feeling restless with a mind full of worries. You may wonder when things will change but know that change is only brought about by action. The Moon makes an opposite with Neptune at 8:40 AM EST so resist telling yourself lies to cover up what you know needs to happen to bring about change but don’t want to admit. At 9:43 AM, Jupiter makes a trine with Uranus, giving you the big push you need to break through. Most likely, this will be like being hit by a lightning bolt: a sudden flash of a revelation accompanied by the confidence to take the big leap. To learn more about this beneficial aspect, go here. http://braveheartastrology.com/jupiter-trine-uranus-a-leap-of-faith/ All of this active energy may be overwhelming, especially with the Sun in Cancer, Neptune in retrograde and the Moon making a trine with Pluto. Don’t be afraid to feel those feelings because only through feeling are we able to let negativity pass. The number of the day is 9: a cycle is complete and it’s time to move on. Mantra: I’m ready to take the leap! 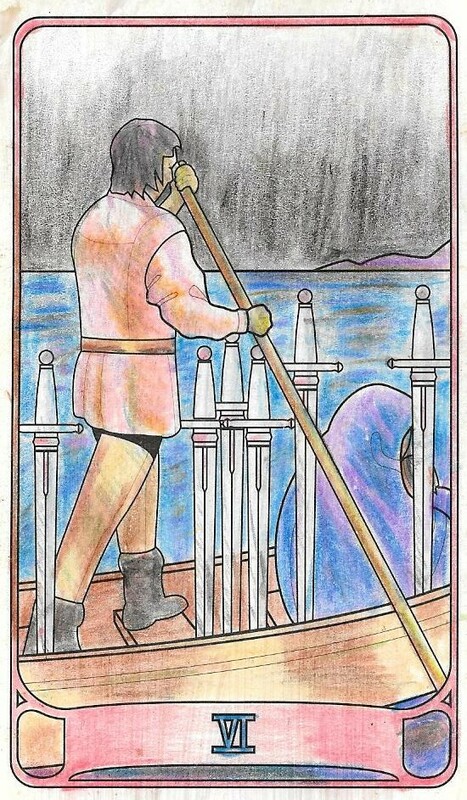 The card of the day is the 6 of Swords, indicating that after the big day of breakthroughs and revelations yesterday, movement is happening. You may be tempted to look back with nostalgia on all your leaving behind but know that you’re moving on to a more positive phase in your life. The only aspect today is Mercury makes a square with Neptune. This could leave you with an overactive, restless imagination. The Moon is in Virgo so use its energy to thoroughly plan what direction you want to take. The number of the day is 1(0), a number of new beginnings. Mantra: Present in the here and now, I’m committed to change. The card of the day is the Empress, a card of ripe abundance and potential but she also has her flaws. The Empress can signal over indulgence, laziness and dependency. Choose which side of the Empress’ energy you want to harness today. The Moon makes a trine with Saturn at 12:33 AM EST, giving you the courage to accept what you have to do to make those life changes you committed to make during Jupiter’s trine with Uranus on Monday. At 1:12 AM EST, the Moon makes a square with Mars, bringing a dip in your health. At 7:02 AM EST, the Moon will square the Sun, making it difficult to find a balance and start the day with a level head. The beginning of the day is difficult, but abundance is on the way. Mars enters Cancer at 9:33 AM EST and will stay there until August 8, 2015. The Empress appears to alert us to the potential to fight for what we want to grow as Mars enters Cancer. However, during this time, make sure you don’t neglect your duties that you’re not so wild about because that’s a downside of Mars in Cancer. It’s the first quarter, so the Moon is gaining energy. Set your intentions, use the energy of the Empress to draw abundance to you, use the power of fiery Mars and watery Cancer to fight for it and use the energy of the Moon to charge it. If you do this correctly, you will attain what you desire. The number of the day is 2, reminding us that like Mars in Cancer, opposites can attract. Mantra: I’m ready to fight for what I believe in. The card of the day is the 10 of Swords and it fits well with the theme of the week about letting go of what does not suit you and fighting for what you believe in. 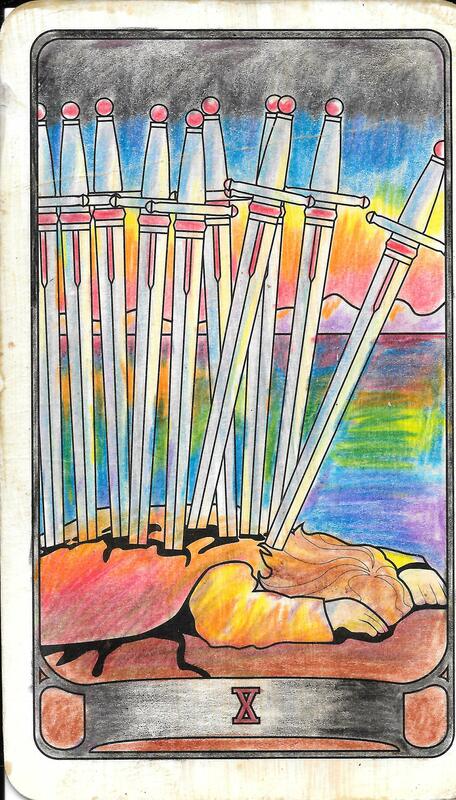 The 10 of Swords is a card that heralds finality. Whatever you’re worrying about, know that it’s over and done with. There is nothing left. No story to tell. No potential to harness. 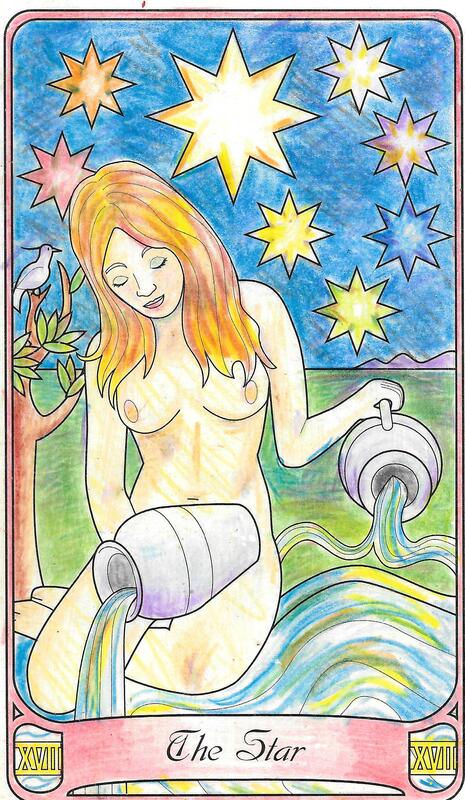 The Moon makes a trine with Mercury at 12:08 AM EST, giving you the practicality to know and understand this. The Moon makes a square with Pluto at 7:07 AM EST, so you may wake up feeling uneasy and jealous of others’ lives. Use this energy to recognize what is holding you back in your life and make a resolution to rid yourself of that. The Moon forms an opposite with Uranus at 6:20 PM so you may be stubbornly trying to hang on to the past. The good news is that the Moon makes a trine to Jupiter at 7:22 PM, helping you turn your attitude around if you felt the difficult aspects of the day strongly. This aspect is one of jolliness and mirth, so relax and do something you enjoy. THe number of the day is three, so tap into your creative side. Mantra: The past is dead. 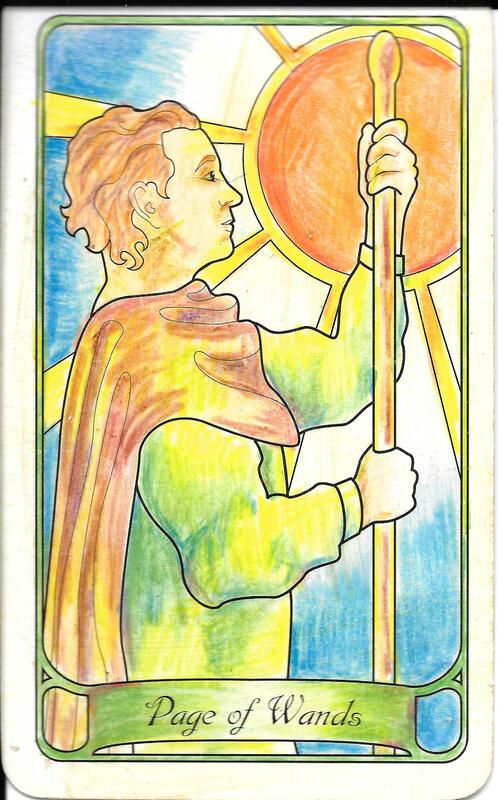 We have a dynamic combination for the day with the Knight of Swords appearing while the Moon is in Scorpio. 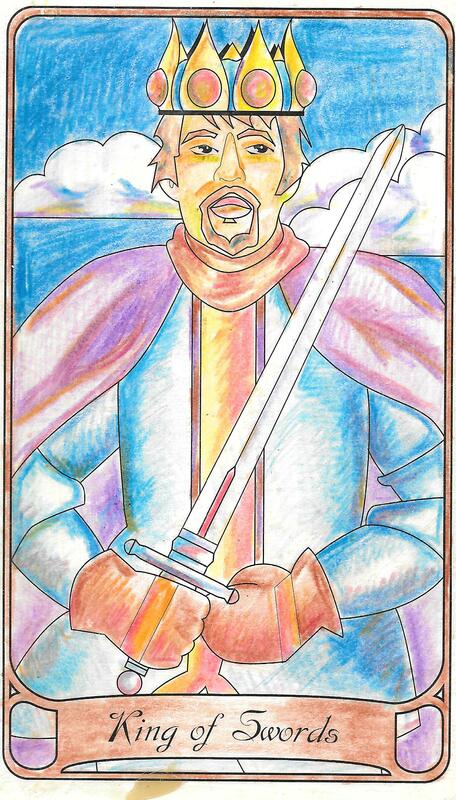 The Knight of swords is pugnacious, ready to leap into battle while Scoripio is sensitive and is easily offended. Obviously, this means think your actions through before you act today or you could find yourself in a hostile situation, especially in the evening when the Moon makes a sextile with Pluto. The other aspects of the day are favorable, however. The Moon makes a trine with the Sun early in the morning, easing worries. The Moon also makes a trine with Neptune, amplifying your imagination and intuition. Just watch out for heightened sensitivity. The number of the day is 7, reminding us to not make assumptions before we have all the information. Mantra: Look before you leap. Think before you speak. This entry was posted in Astrology, mysticism, numerology, Qabalah, self help, spirituality, Tarot, Writing and tagged astrology, divination, inspirational, motivational, numerology, occult, self empowerment, self help, tarot, wicca, witchy. Bookmark the permalink.